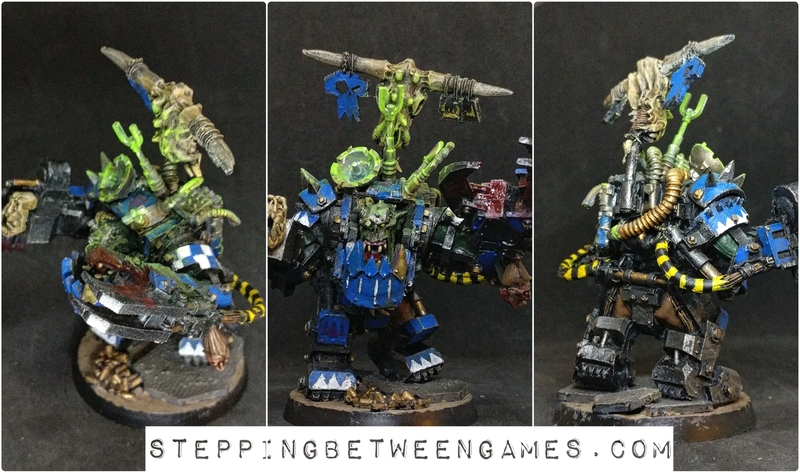 So Ork Warbosses no longer are allowed wear Mega Armour… for some reason. Most likely to sell that wartrike thing. So my little Ork army had an index only boss. So I decided to be cunning but brutal and Gitbash Skullkrusha – Da Bloo Wonda is now a Big Mek! He gently snuck in to photo-bomb Mag Urk Ghazhkul Thrakka himself. 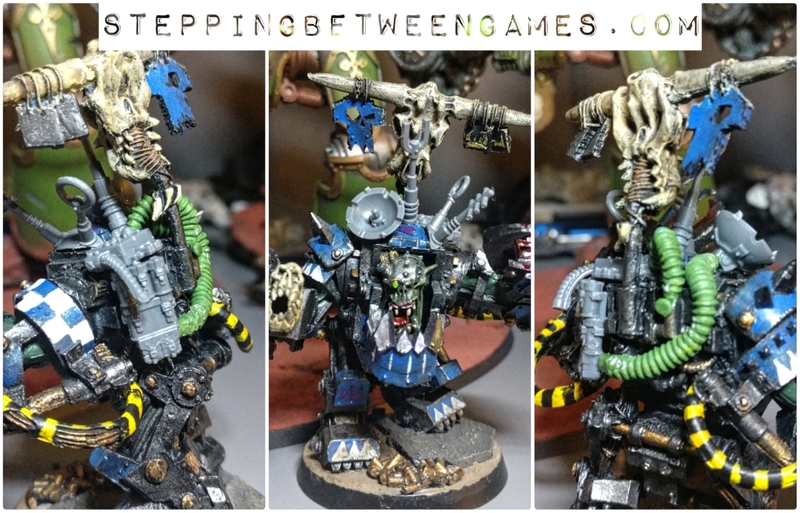 There were a few little conversion touches to make it more unique, reposing, extra armour and the Ork skull. But that wouldn’t do for a Big Mek with a Kustom Force Field. 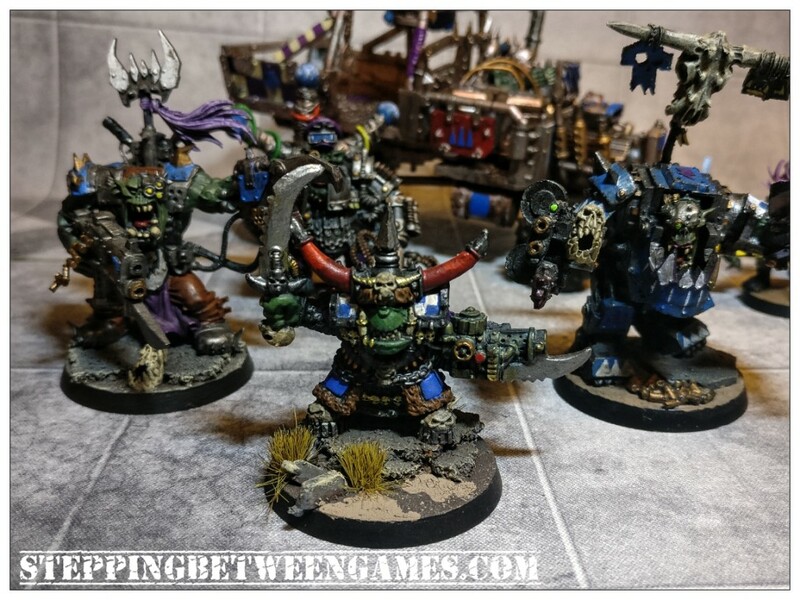 Time to break out the bits boxes and roll up some greenstuff! I went bright for some object source lighting (OSL) to try highlight the difference. The energy is fairly buzzing there but I try to keep the effects subtle in there shine on the rest of the model. I went over a number of sections of the blue to brighten the colour up, it had been quite dark originally. So there we go, a few simple additions and I now have a Big Mek with KFF. What do you think?